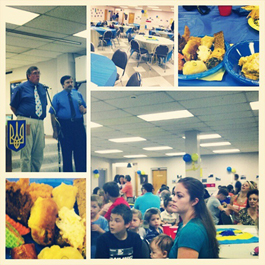 In August of 2014, BSCC successfully hosted another Ukrainian Independence Day celebration. Approximately 200 people from the community attended this event. Since October of 2014, Birmingham Sister Cities Commission has sent off three batches of medical supplies to our sister city in Vinnytsya in order to help with their war efforts. We have collected and sent off a total of approximately $10,000 worth of medical supplies. Also, during the first week of December, we hosted six Ukrainian delegates as a part of the U.S. Open World Leadership program. The delegates learned about the various entities in the City of Birmingham and networked with many of the city’s largest stakeholders.